Ever wondered what to do with a shade of lipstick you bought and didn't love? Perhaps it's time to take a class in sculpture. 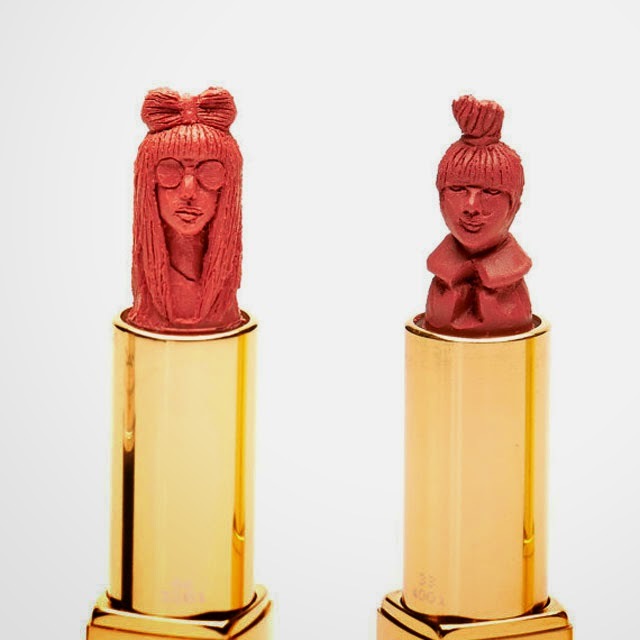 Our jaws are literally on the floor after discovering this Hong Kong based artist who creates tiny sculptures from lipstick. We're not talking huge tubs of lipstick. We're talking about the same stuff you and I use every morning - the tiny tubes. Artist May Sum is taking the lipstick tube and turning it into a miniature pedestal for amazing works of art that are selling for as much as $600. So far May Sum has sculpted prominent fashion figures including Kate Moss, Anna Wintour, Twiggy, Vivienne Westwood, Susie Bubble and more. It's not surprising that she takes her inspiration from these lovely ladies as Sum actually began her career in the world of glossy magazines. Her timeline goes a little something like this: Beauty Editor ---> Makeup Artist ---> Mind blowing sculptress. Not a bad career path. You can actually buy your own custom sculpture on May Sum's Etsy page. You get to choose your lipstick colour and everything. 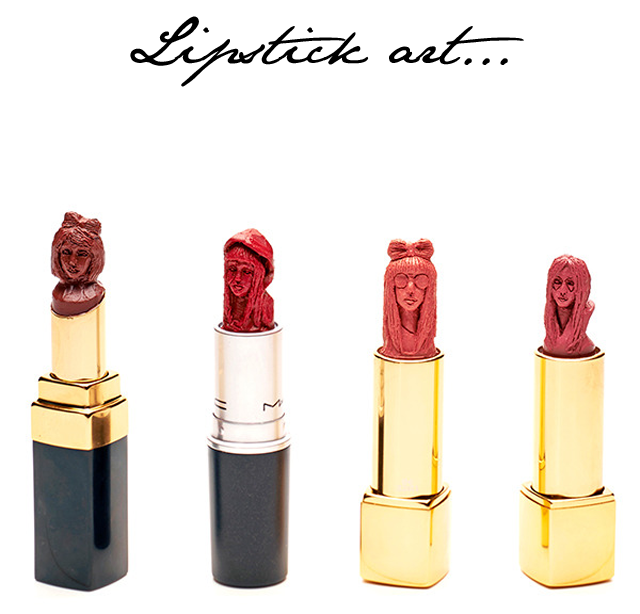 In fact, if you're super in love with your own portrait, May Sum will create your own lipstick bust. Just give her a photo and a few weeks to prepare and Bob's your uncle.